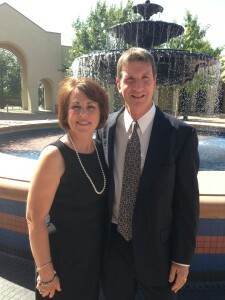 Jeff and Jamey James have resided in the Lake Cities area since 1985. They have 3 children and 4 grandsons. Jeff is a private pilot and when he is not working you can find him flying his Piper Cub or RC airplanes, touring on his motorcycle or playing the guitar. Jamey works for the local school district and enjoys working in the yard and garden and maintaining their koi pond. Jeff first became interested in locksmithing in the late 70’s when he went to work for an architectural door hardware company working in the warehouse. He became familiar with all brands of locks, installation, trouble-shooting, learned the art of master-keying and all aspects of commercial door hardware. In the late 80’s he went to work for the Westin Hotel as the hotel locksmith. Again, working at the Westin Hotel gave him greater knowledge of lock installation, repair, rekey, master-keying and key inventory. He advanced his skills by completing the coursework for Advanced Locksmithing with the Foley Belsaw Institute. It was during his employment at the Westin Hotel that he realized that the Lake Cities area needed a reliable locksmith. While still working at the hotel, he and Jamey built the foundation of their locksmith business and in 1994 when the hotel was bought out, Jeff decided it was the opportune time to open their locksmith business. 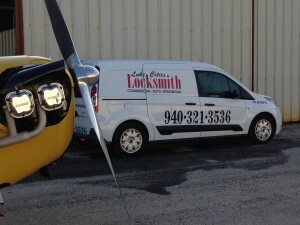 So in January 1995 Lake Cities Locksmith became the hometown locksmith in the Lake Cities area. In the early 2000’s, the State of Texas passed a bill requiring all security professionals, including locksmiths, to be licensed and insured. Before the state will issue a locksmith license, an extensive background check, fingerprinting, written tests showing competency, and proof of liability insurance are required. The locksmith must also complete 12 continuing education hours per year to keep his license. The locksmith and the company must both be licensed to legally perform locksmith services in the state of Texas and the license number must be present on all forms of advertising and on the locksmith vehicle. Lake Cities Locksmith state license is B12932. 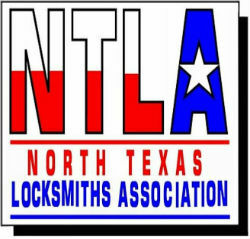 You can search any Texas locksmith to see if they are licensed at www.dps.texas.gov/psb. Call Lake Cities Locksmith for your security needs. Our service area includes Lake Dallas, Corinth, Hickory Creek, Shady Shores, Denton, Little Elm, Pilot Point, Aubrey, Frisco, Lewisville, Flower Mound, Lantana, Argyle, Bartonville, Copper Canyon, and Highland Village. Call Lake Cities Locksmith for fast, dependable service!